Which one is the top? BTW that fish quilting design is from Quiltmaker & I have a feeling that I will be using it again - seeing how I want to do the quilt in the magazine that used it. It is unfortunately not part of their free quilting motifs, but if you (like me) are interested in quilting like Tonya - there are some patters - if the drawing is one of the areas where you are nervous (like me). Back to Quiltmaker - this is the only magazine that I subscribe to... Everything is doable & so far they have kept my interst from issue to issue. Anyone else subscribe? I like the Quiltmaker's All Time Favorites issues best - they usually have fun kids quilts. 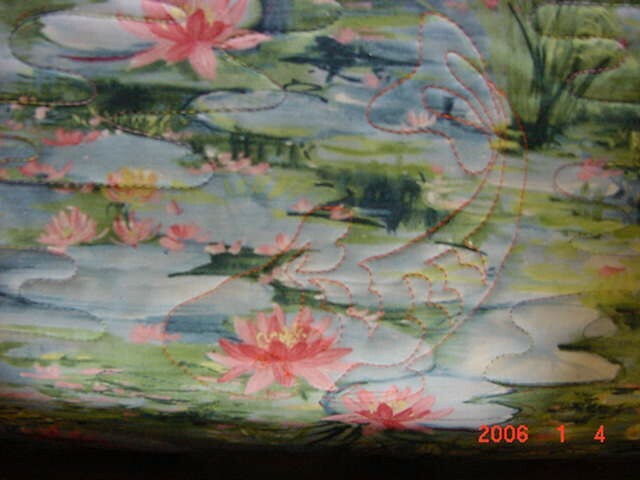 I also like having access to the quilting motifs on the website. They publish books periodically with their quilting motifs in them which are easier for me than going back thru the magazines when I'm looking for inspiration for a particular quilt. I love the fish. What a great choice for the quilting. I really have to get over my control freak factor and send something out to be quilted. I have some of that lilypad fabric; the fish quilting is perfect for it!! And I have 2 or 3 YBR's to finish. I enjoy the easy patterns, but you're right about needing to cut them a certain way. Howdy! I'm back in business after my flu :) I subscribe to Quiltmaker magazine and I've done many projects from them through the years. 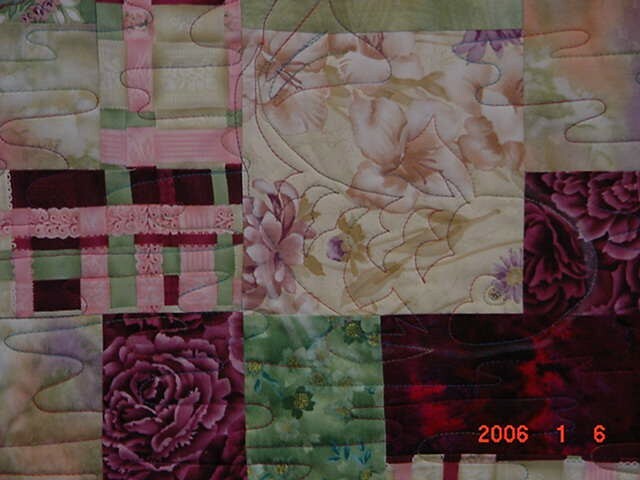 I love Quiltmaker! I have every issue - I think - since about 1993. I also subscribe to Quilter's Newsletter Magazine and occasionally pick up a Fons & Porter Love of Quilting, but Quiltmaker is definitely the best! Quiltmaker is a favorite of mine but I do not subscribe at the current time. I subscribe to magazines from time to time. I really enjoy getting them and spending a warm evening cuddling up with the magazine. After the evening is up, and I am inspired to make oh so many more quilts, I start remembering all the other quilts I have to finish before I can start any more (current rule: finish two for every one I start), and I wind up feeling worse rather than better. 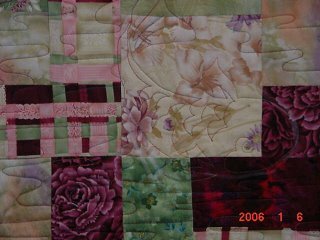 I do not need more inspiration, I need to finish more quilts.